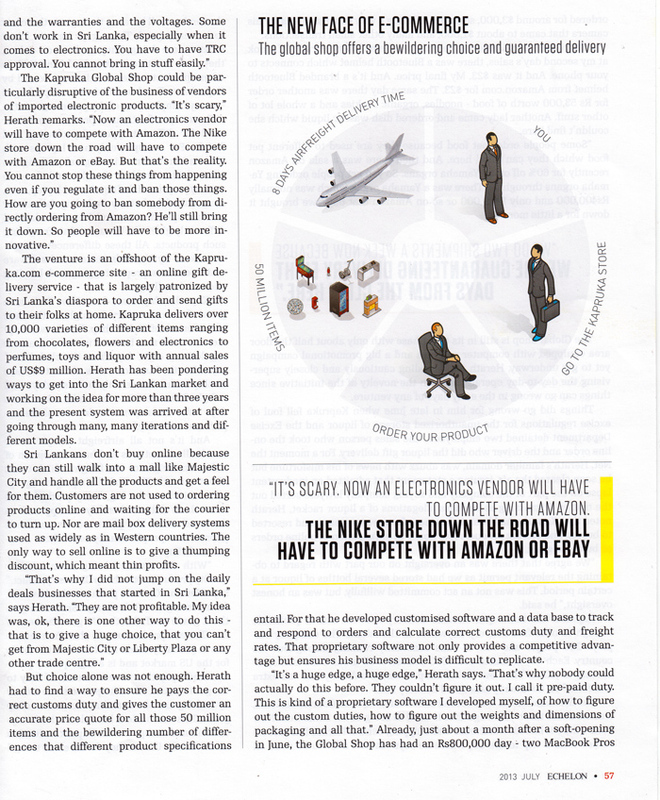 How does global shopping work? 5. We take a small deposit from you and place the order behalf of you direct with Amazon, ebay, etc. Do we need to pay taxes and duty? Depending on the items you choose, we will show your applicable taxes and duty. For example if you are ordering books there may be zero duty on it, whereas if you are ordering a laptop there will be a fixed duty. 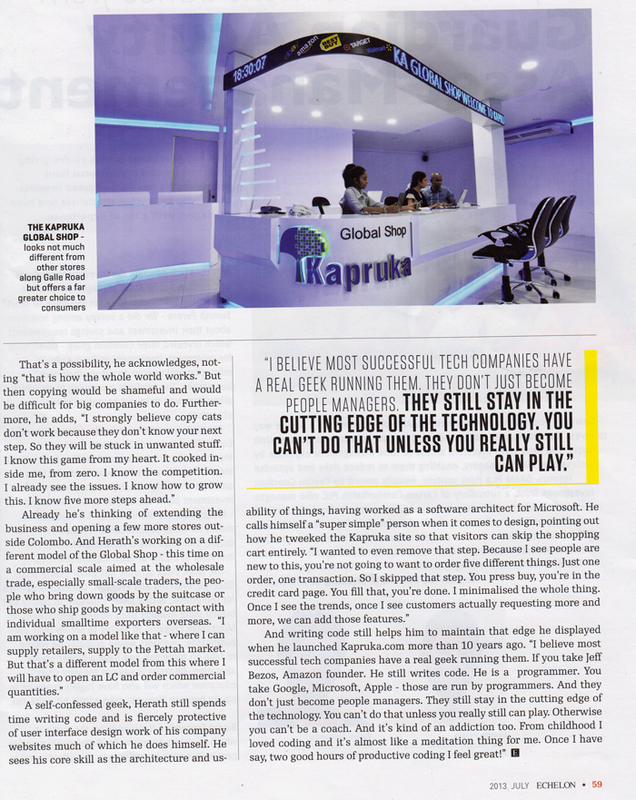 Kapruka has developed the necessary tools to show you this information once you visit a Global Shop location. You could also use the online price check requester if you know the exact item you want. Do you have a warehouse in USA? 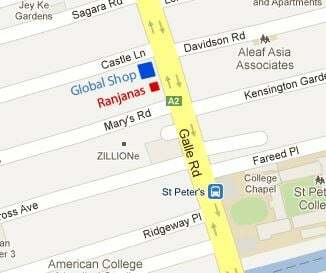 Yes, all items ordered via Global shop will be shipped directly to our warehouse in USA and then be sent to Sri Lanka. Normal transit time is about * 8 to 11 business days from the time we receive the item from vendor website(i.e Amazon, eBay,etc), to the day it arrives at our global shop in Sri Lanka. * Please note this time could extended longer if the vendor (such as eBay, Amazon) delays to ship out the order. Also there are rare incidents of unavoidable delays at Sri Lanka customs. What is the Kapruka fee on this service? Simply 5% of your item cost. For example if you are ordering a 100 USD value item, you will pay Kapruka 5 USD for handling the entire process for you. I have lot of more questions. How do I contact Kapruka Global Shop? 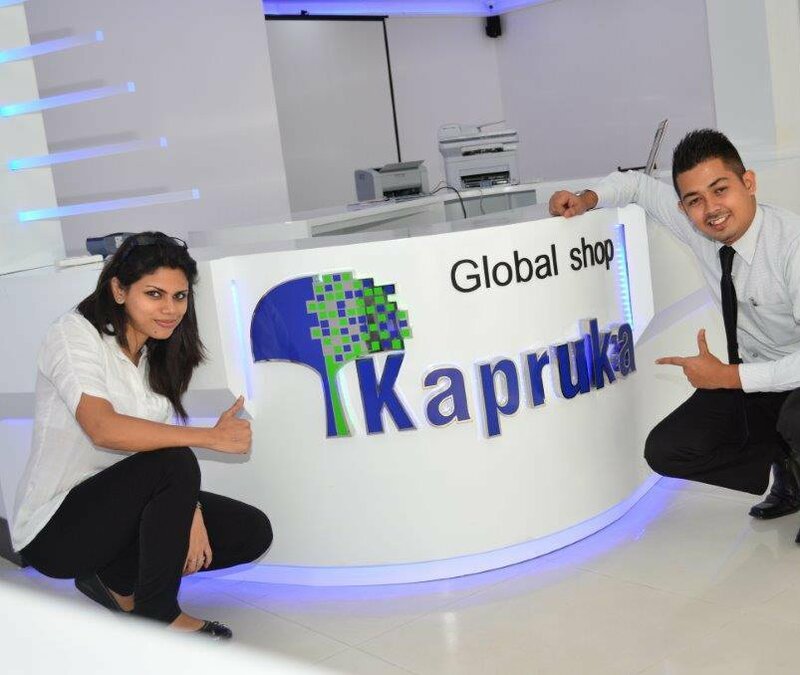 Sri Lanka`s largest e-commerce organization, Kapruka.com has unveiled an exciting shopping experience to Sri Lankans through its 'Kapruka Global Shop' which will give customers access to over 50 million global products. 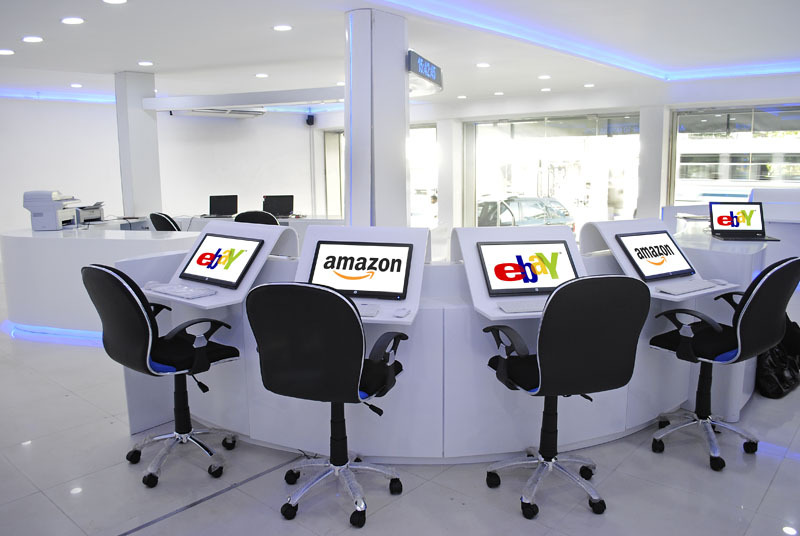 The 'Kapruka Global Shop' will house a wide variety of products from clothing to electronics listed on the popular Amazon. 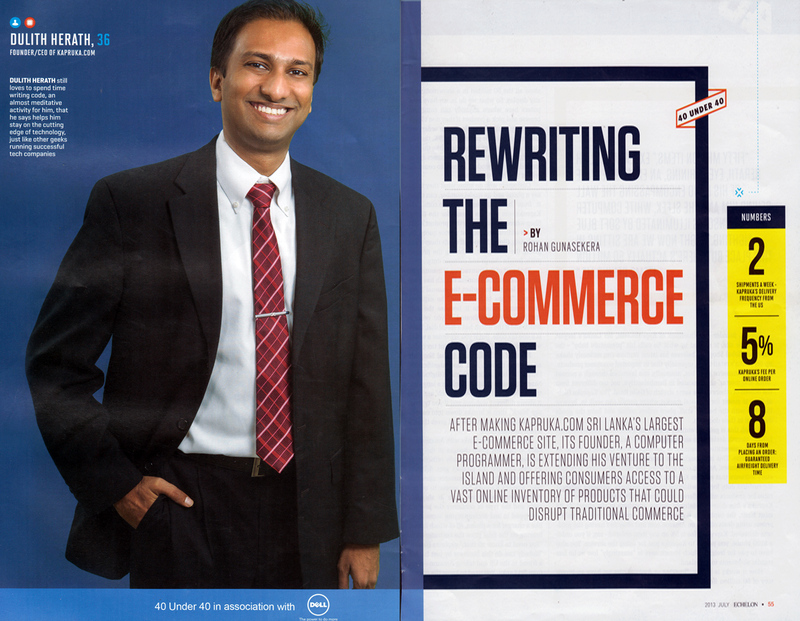 com and Ebay.com online shopping portals.